A Quick Diamond Buying Guide: How Can You Tell if a Diamond is Real? There is no mistaking a diamond’s signature beauty, and the crystal-clear perfection combined with a rainbow fire is what makes the gemstone so coveted. The diamond is the most durable gemstone on Earth, and, quite arguably, the rarest; this means that the price for a flawless, colorless specimen can soar to incredible heights, depending on the carat weight. The diamond market is high-demand and high-dollar, and this leaves the door open to counterfeiters, who duplicate and replicate the stone at a lower cost to consumers. The best way to ensure that you’re investing in a real diamond is to only buy a stone that is certified by a reputable gem laboratory. 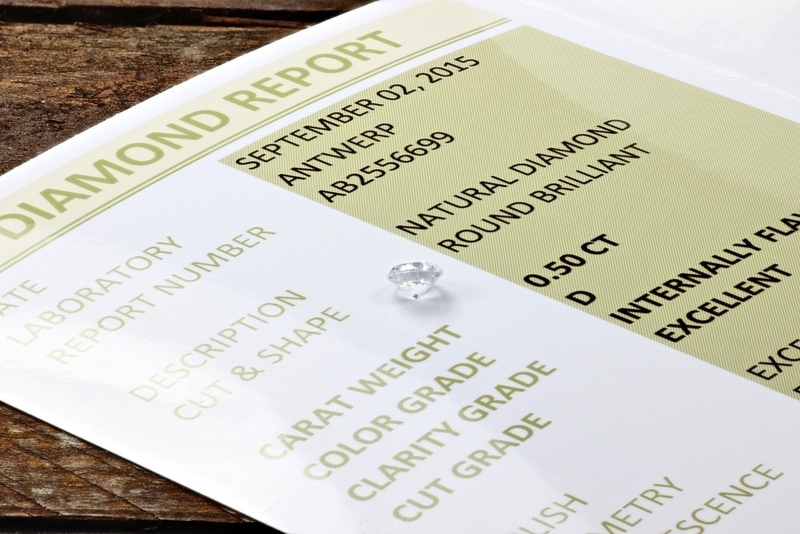 A certified diamond will include a certificate that includes the stone’s grade for color, clarity and cut. You’ll also see a map of the diamond that outlines all flaws and inclusions. A certified diamond leaves no doubt as to the stone’s authenticity. You won’t—or shouldn’t—pay more for a certified diamond, so choosing a diamond that comes with a certificate of its authenticity is a no-brainer for buyers. A loupe is a magnification tool that gemologists and jewelers use to examine a diamond. The loupe will magnify any flaws within the stone. 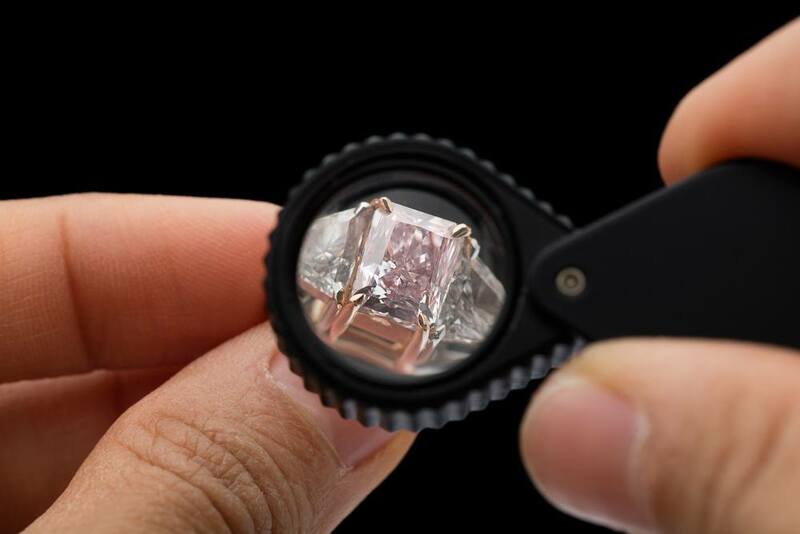 A jeweler can identify a fake versus a real diamond under a loupe immediately. The structure of a diamond would look different than another stone… especially a cubic zirconia. When in doubt, ask a jeweler to inspect your stone. In a hurry to find out if you’ve been duped? Breathe on your stone. Diamonds conduct heat extremely well, so if you breathe on a diamond, the fog from your breath should clear quickly. However, a cubic zirconia will hold the heat—and the moisture—longer. 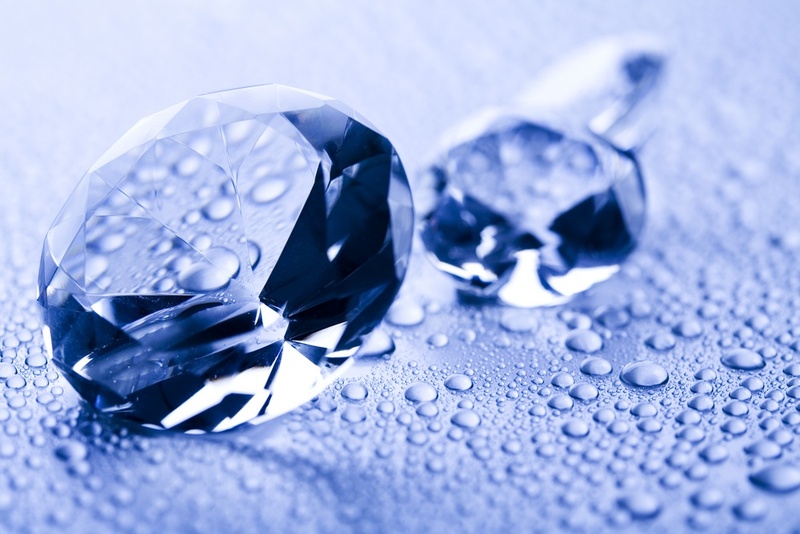 According to The Knot, one of the easiest ways to determine if a diamond is real is to drop it in a glass of water. If the loose diamond sinks, you bought the real deal. A floating diamond is a fake! However, keep in mind that this test won’t work if you’re diamond is already set in a ring. All rings will sink from the weight of the metal. This is only a viable test for loose diamonds. One of the tell-tale signs of an authentic diamond is that the stone will glow under a blacklight. Many diamonds exhibit some degree of fluorescence which means that the stone will look blue or purple under a blacklight. However, not all diamonds have fluorescence, so a diamond that doesn’t glow isn’t necessarily a fake. If a stone does exhibit diamond fluorescence, it’s GIA certification will reflect that. As diamonds are a rare and valuable commodity, the demand for cheaper replicas remains high. However, sometimes buyers are unknowingly tricked into purchasing what they think is the real deal… only to discover their diamond is an imposter! To ensure that you’re investing in an authentic stone, buy diamonds that are certified by a reputable gem lab. If a diamond has fluorescence, it’s GIA report will reflect that. Most importantly, take your time to do your due diligence. With the tips and tricks from this diamond buying guide, you can zero in on a fake diamond and protect your purchase. For a purchase so important, you deserve the best!